Winter heather, also called Erica, is a beautiful cute plant that blooms throughout fall and winter. Caring for it is easy and it is guaranteed to produce a great decorative impact! Winter heather (also called Erica heather) is best planted at the end of summer or during fall, and even in winter if it doesn’t freeze. It is also possible to plant heather in spring as long as you can provide for regular watering over the first year after planting. Water generously at the beginning, especially if it doesn’t rain, and if you can, add maritime pine bark mulch. Unravel the roots that are at the base of the plant. Let the bunch sit in water for a few minutes. Add heath to your garden soil to guarantee proper plant development. 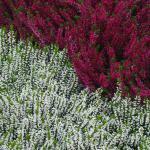 The Erica variety tolerates clay and even slightly chalky soil. Growth is relatively slow, and heather will never grow higher than 16 inches (40 cm) tall. 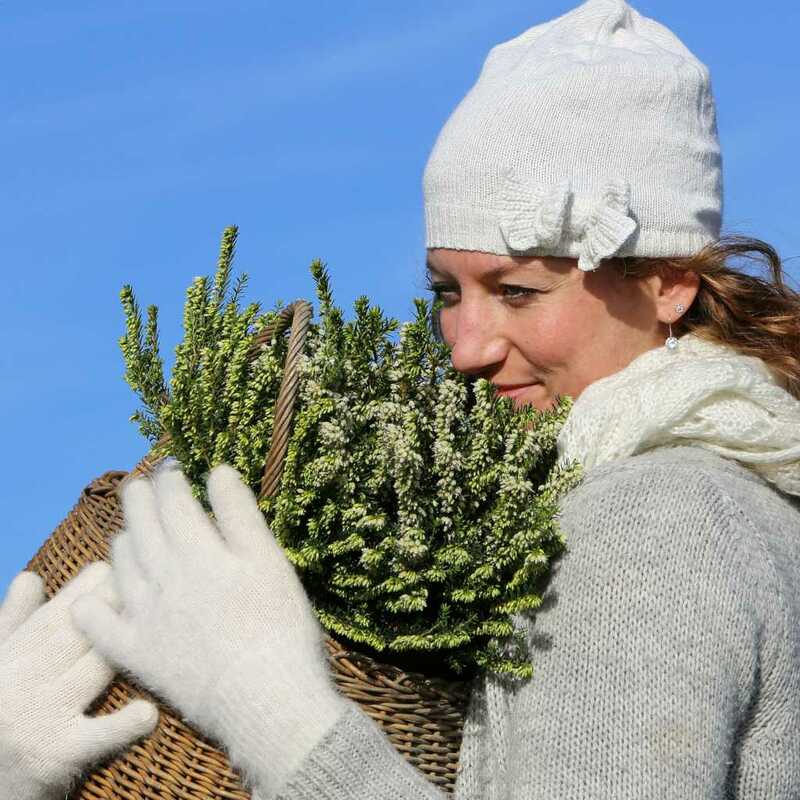 Read more on how to plant heather plants. Thanks to its rather slow growth, Erica heather is very well suited to being grown in pots. You’ll be surprised to see that this plant can stay for years in the same old 12 inch (30 cm)-deep pot. Be careful though to water regularly, since soil dries up much faster in pots, especially in summer. Erica heather is such an easygoing plant that it requires almost no care. Prune lightly after blooming is over, without removing old growth. Water in case of prolonged dry spells or heat waves. Add special heath fertilizer in spring. To regenerate your heather plant, which might grow sparse after a while, you can cut stems down to around 8 inches (20 cm), and repeat this every 3 to 4 years. For potted Erica heather, it is recommended to add fertilizer every year. Watering must not be forgotten, especially for potted plants; water as soon as the soil dries up. Native to South Africa, Erica heather is a short shrub that produces cute flowers grouped in umbels that bloom from fall to winter. 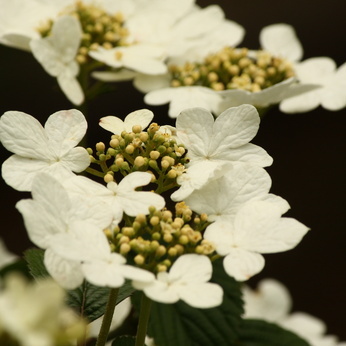 This perennial usually covers surfaces well which can be interesting, and its bushy appearance and abundant flowers will certainly make for a beautiful addition to your garden. 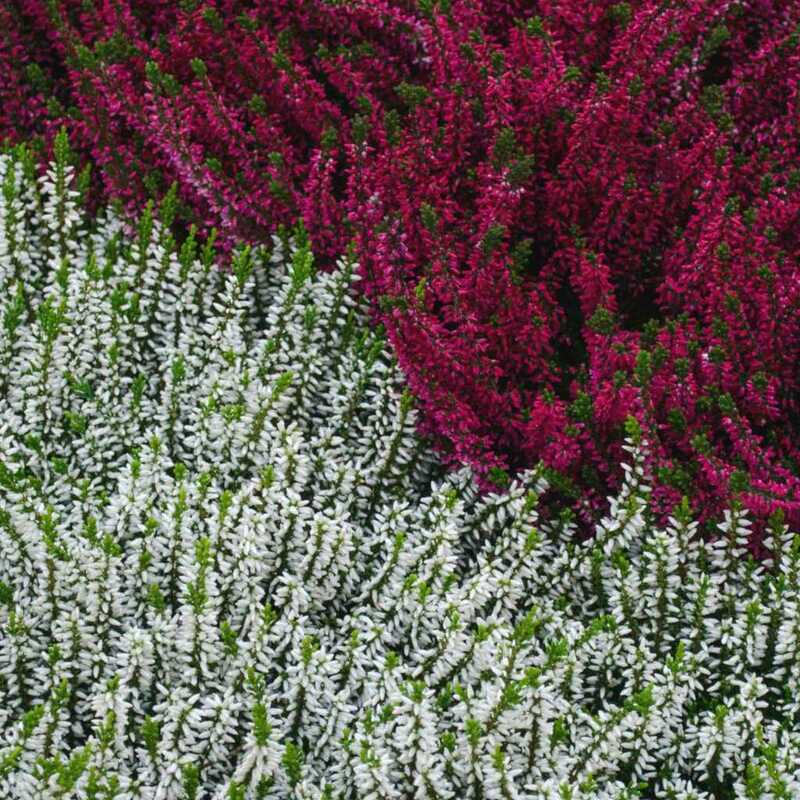 Even though it flowers for over 5 months every year, Erica heath only needs little care and adapts equally well to rocks, edges and embankments – and your garden boxes, too. Indeed, balconies and terraces are perfect locations for this plant because growing in pots is ideal and its low maintenance requirements make it easy to care for. It is perfect for heath flower beds, covering the ground, and in garden boxes and pot assemblies. Erica is the plant that is also called winter heather, whereas summer heather, or Calluna vulgaris, is the plant that blooms in summer. 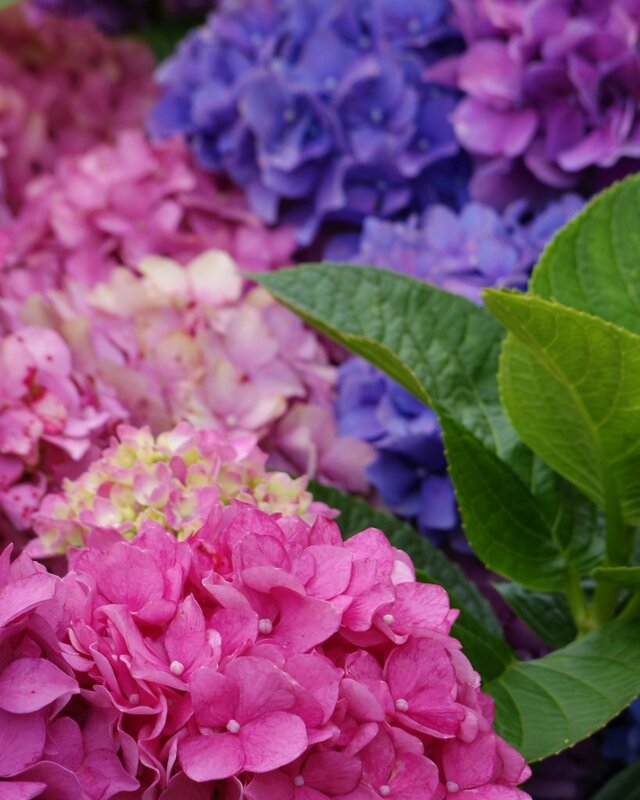 You can plant them together with camellia, rhododendron or azalea, so that only one spot in the garden needs to be kept acid instead of several. Erica heath plants don’t like hard water, so if tap water is hard in your area, add a dash of vinegar or the juice from half a lemon in your watering can before water. Hello I am in Berlin and was wondering how to winterize my balcony planter so that the Erica will hopefully look pretty throughout winter? It can get windy cold and dark in winter, but rarely goes that far below freezing. Guten tag, Melissa! I would have said Mahlzeit but it’s a bit late for that… You won’t need to do much at all to protect the Erica heather in your balcony planter. Simply check that it drains really well (holes aren’t plugged and water flows out the bottom when drenching the plant). 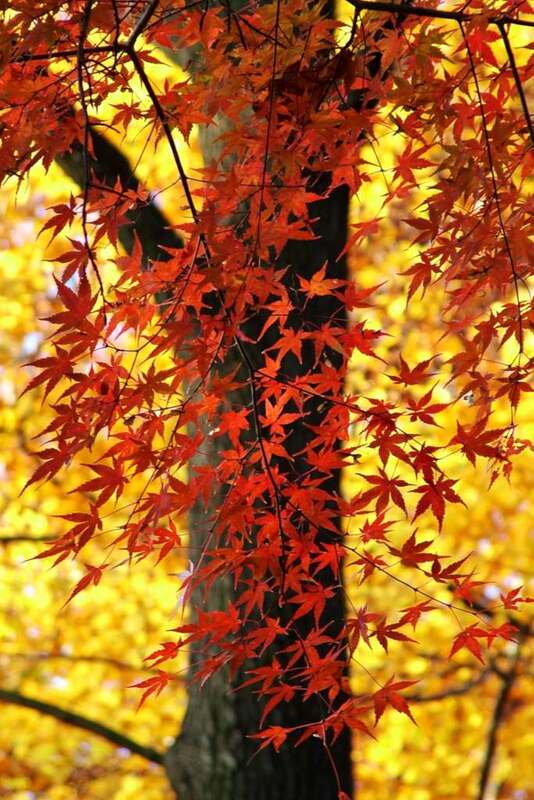 Second is to cut out stronger, colder winds. This can be as easy as wrapping a little canvas or burlap around the pot itself, with a cute bow to hold it in place or wire. This will protect the roots. Add mulch such as pieces of bark or branch clippings on top of the soil if there’s any space. And lastly, if the planter is in full wind, feel free to stick an object that is a bit taller than the plant in the soil, to break and deflect the wind off. This can be something like a pinwheel or two, a Christmas elf, or similar ornaments that will help create a small windbreaker to the side where winds are strongest. Other than that, not much more to worry about! Auf Wiederhören! I am new at this…and can use help! Just received from daughter in Nevada…beautiful! That’s great, Alice! Heath plants are quite nice and once you get the soil acidity right, they’ll thrive!